Today, FedEx employees have learned who will leave as part of the company's voluntary buyout. The Memphis-based shipping and logistics giant announced cost-reduction actions — which included a voluntary buyout program for eligible U.S.-based employees — during its second quarter 2019 earnings call, held in December 2018. Monday, April 22, was the date employees would reportedly find out who would be leaving the company. The departures are expected to start in May and occur in phases. When asked about the buyouts on Monday, a spokesperson for FedEx simply told the Memphis Business Journal the company didn’t have anything additional to share. FedEx has not released any information regarding the number of employees leaving. Trip Miller, managing partner at Memphis-based hedge fund Gullane Capital Partners LLC, which holds FedEx in its fund said he views the employee buyout as a win/win for both employees and the company. “Employees get a very attractive buyout and, obviously, the ability to go do other things or take truly an earlier retirement,” Miller said. “And, to FedEx, as Alan Graf [CFO for FedEx] has pointed out, it is a tremendous cost savings." In terms of downsides, Miller said there could potentially be a negative impact to employee morale, and that anytime there is a buyout a company runs the risk of losing some great talent. But, he reiterated, overall this move by FedEx is positive. In previous filings with the SEC, FedEx stated the voluntary buyout program was expected to have a pre-tax cost of $450 million to $575 million. Savings from the buyouts are anticipated to be between $225 million to $275 million on an annualized basis starting in 2020 for FedEx. Executives have also mentioned that similar buyout programs could occur for FedEx employees in its international regions. 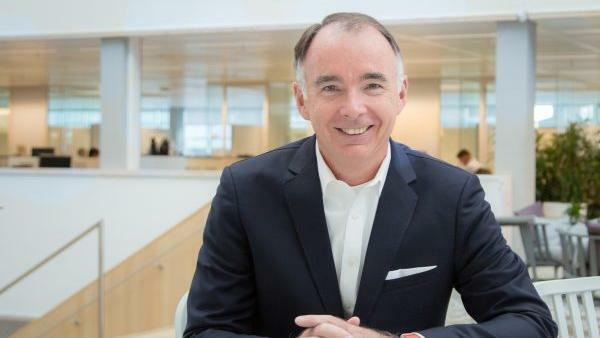 After an abrupt resignation in 2018, a former FedEx exec has a new home with Amazon. Sean Healy, who spent 32 years with Memphis-based FedEx Corp., most recently as the regional chief operating officer for FedEx Express Europe, resigned in October 2018. The Memphis Business Journal recently learned he is now a director with Amazon. According to Healy’s LinkedIn account, he started with Amazon in February of this year. Amazon confirmed Healy’s LinkedIn profile was accurate and that he was now an employee of the company, but they did not provide additional job details. Healy started his career at FedEx in 1986 as a package handler and worked his way up to the executive level. Healy is also a former member of the board of commissioners for the Memphis Area Transit Authority (MATA). A storm chaser said that "strong winds were being funneled through a pair of grain elevators which caused the trucks to tip over." A storm chaser captured the moment that a FedEx truck fell prey to high wind gust in Texas this week. The video was captured by storm chaser Blake Brown in Amarillo, Texas, on Wednesday, March 13. Insane day today.. Amarillo TX had winds sustained at 64 MPH for a bit and gusts to 80 MPH! Damage all around town, over 40 semi trucks blown over just in the Amarillo area. I was able to capture 2 trucks being blown over on Lakeside just north of I-40. Strong winds were being funneled through a pair of grain elevators which caused the trucks to tip over. Brown’s video includes several more minutes of semi truck drivers struggling against the strong winds after the FedEx truck flips. 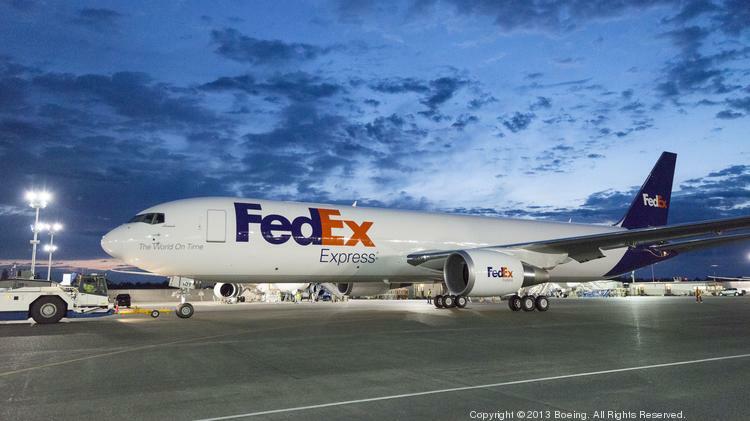 While Cowen & Co. is braced for less-than-stellar results from FedEx’s international express unit, the firm still thinks the shares are worth buying. The back story. FedEx shares are off nearly 30% in the past 12 months. The logistics giant—and main rival United Parcel Service (UPS)—handled the high volume of packages well this holiday season, but that didn’t translate into stock gains for either. Both companies were hit by late 2018 market tumbles, but their problems extend farther back than the fourth quarter. FedEx and UPS have had to invest heavily to increase their capacity at the same time that Amazon.com (AMZN) is testing delivery options of its own. FedEx didn’t do much to comfort investors when management lowered its outlook for the year, and many analysts see hopes that Amazon could buy FedEx as a pipe dream. Even bulls have argued that patience is necessary. What’s new. FedEx is slated to report earnings Tuesday, March 19, after the close of regular trading. Analysts are looking for EPS of $3.16 on revenue of $17.7 billion. Cowen’s Helane Becker reiterated an Outperform rating on Thursday, but she lowered her price target to $237 from $242 “to reflect the current operating environment.” She believes that FedEx’s International Express business is likely to remain weak, with Brexit weighing on its Europe business, although she thinks the negative news is already baked into FedEx’s share price. Looking ahead. Becker admits that Europe is a concern and international operations will likely continue to be soft. That said, she writes that U.S. operations look robust, with solid pricing trends, while FedEx is reaping some of the benefits of past investments in its business. FedEx was down 0.5% to $178.67 in recent trading.